THE Zimbabwe senior men's basketball team think-tank will give Robert Mugabe Junior a national team call-up if they qualify for the Afro-Basketball and All-Africa Games that will be held in Tunisia and Congo-Brazzaville respectively. 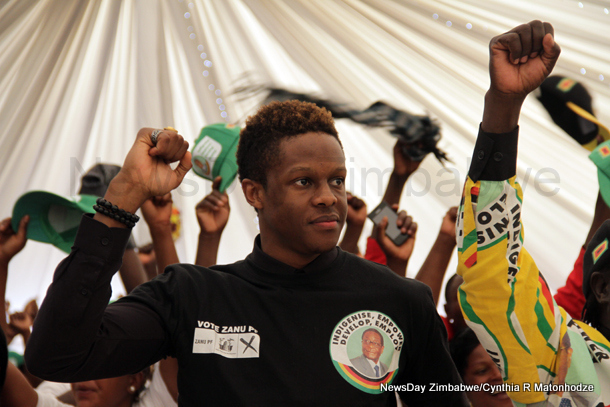 Robert Jnr, son to President Mugabe, has previously represented the country in the Under-18 team. He is studying in the Philippines where he is also playing basketball. The senior men's coach Elren Pinkerton made the announcement on Wednesday afternoon after seeing his charges complete a double over Seychelles to keep alive their hopes of qualifying. Zimbabwe beat the Seychelles 63-62 to temporarily shoot to the top of the tables. "We're using our locally based players here but once we qualify, which I remain sure we will, our overseas based players, including Robert Jnr will be called up. We will be sending a call-up letter to him (Robert Jnr) soon because he is an undoubtedly talented youngster," said Pinkerton.